Celebrate Anza 2017 a Success! Despite threats of rain and wintry temperatures, Celebrate Anza 2017 was a success. 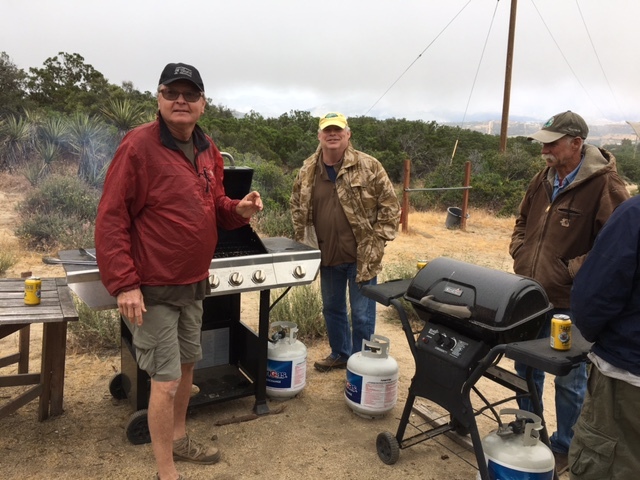 All told, we served up 32 burgers, 24 hot dogs, 25 ears of corn, and an unknown number of “grilled” baked potatoes and chili to hungry hikers. This in addition to about 40 pounds of fresh fruit and several gallons of homemade fruit drinks. For dessert, 5 pounds of fresh strawberries, ice cream, and sodas for making floats. 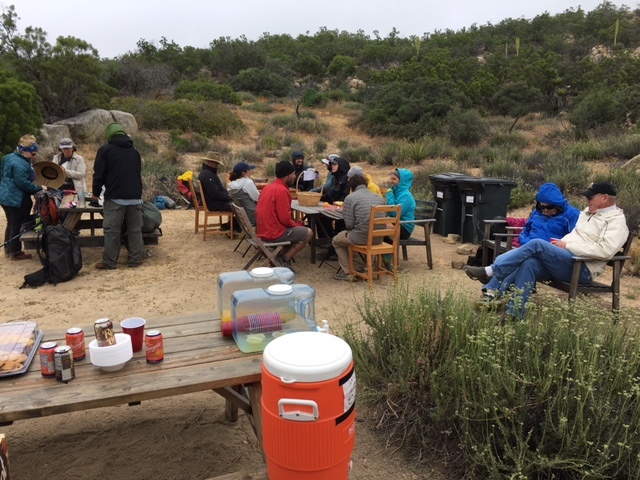 Trail Angel Mary, Thank you for the invite and for the wonderful adventure on PCT! We enjoy your fresh mango juice, hot dogs with chili and hamburgers, cookies and root beer floats. The bbq corn was delish!! My cousins and I had a blast on the trail to Canada.We saw a small baby snake (non poisonous) but good enough to see my cousin jump like a silly kangaroo! LOL, Good Times and Happy Trails!